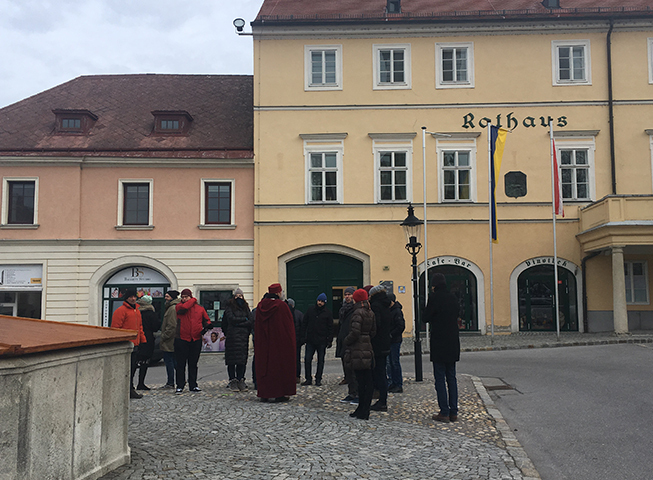 From January 18 to January 19, 2019, our annual strategy seminar took place in the hotel “Altes Kloster” in Hainburg an der Donau. A total of 20 members of the management team attended this year’s event. The objectives of the previous year were evaluated and discussed in a pleasant setting, away from the hustle and bustle of the office, and new targets were set. 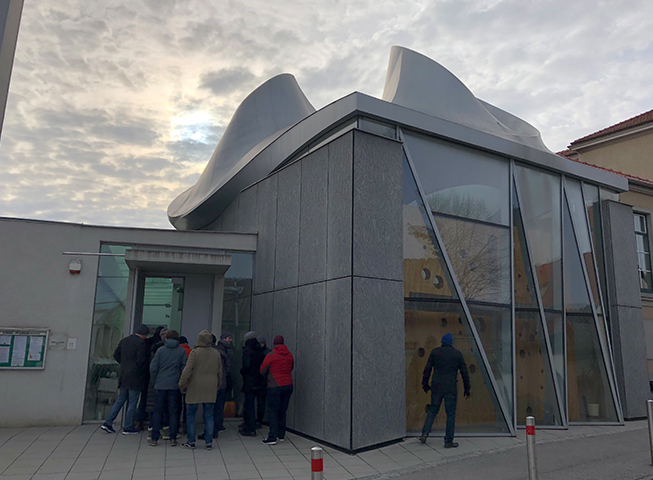 As in the previous year, the presentations of the individual participants on the topic of “My favourite residential building” provided an interesting change. The next day of the seminar was based on the previous day. So another special topic was presented and discussed about future developments, especially in German-speaking countries. 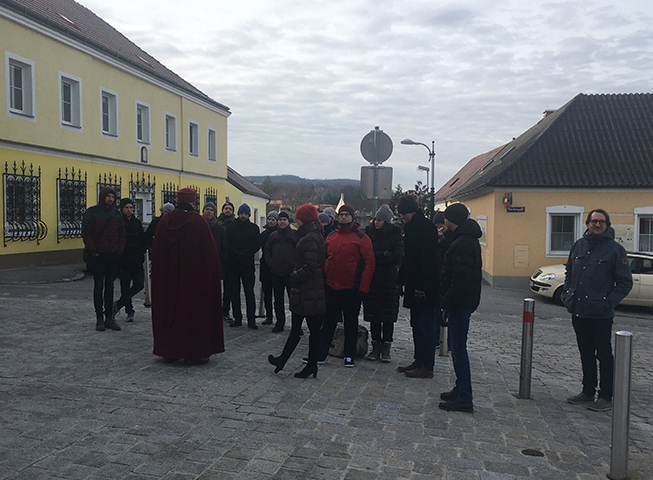 Shortly after 10:00 a.m. we were welcomed by a medieval-dressed minstrel and then taken on a tour of the medieval City of Hainburg passing by a number of interesting places in the freezing cold weather. 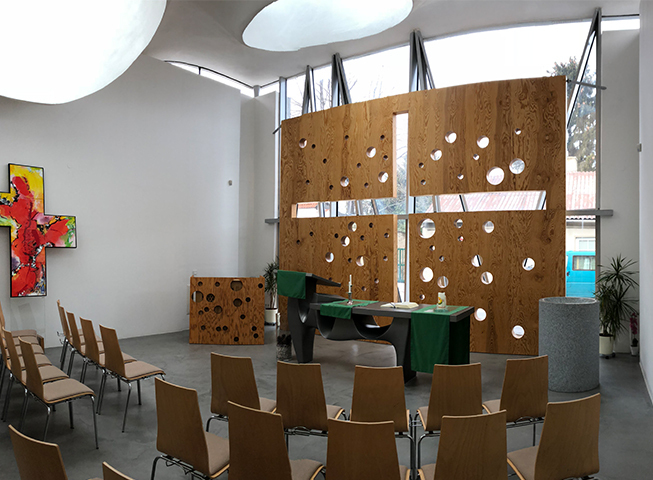 Especially the Martin Luther Church of Coop Himmelb(l)au was an architectural highlight for us architects. After lunch, well refreshed and warmed up again, we started with the last part of our strategy seminar. The seminar was an all-round success with many exciting contributions.